Our upgraded AVL systems, designed and installed by CCI Solutions, has become the hallmark and talking point of our extensive worship center renovation. Their attention to detail and thorough understanding of worship center applications leaves no doubt that they are the best in the industry." When plans were being finalized to move California Baptist University to its present location in Riverside, CA the concept of Magnolia Church was born in the hearts and minds of a few students and faculty members who began to pray and plan for such a church even before moving to the city. They were under a deep conviction that a church adjacent to the college was essential to the spiritual life of the college family as well as to reach the growing city of Riverside. Since that humble beginning in 1955, Magnolia Church has continued to live out and broaden its vision to a growing Inland Empire, hosting a truly multi-generational church with a membership of 2,500 people that spans newborns through those in their 90’s. Built in 1974, the current 100,000 square foot facility was very much showing its age with outdated carpet and wall colors, pews, and an oversized choir loft. But perhaps the biggest deficiency was in their technology with systems that hadn’t seen major updates in well over a decade. In addition to feeling outdated, this created significant communication challenges for the church, as audio was generally uneven through the room and unclear for many, and the video screens were too small and high up to be effective for much of the congregation. 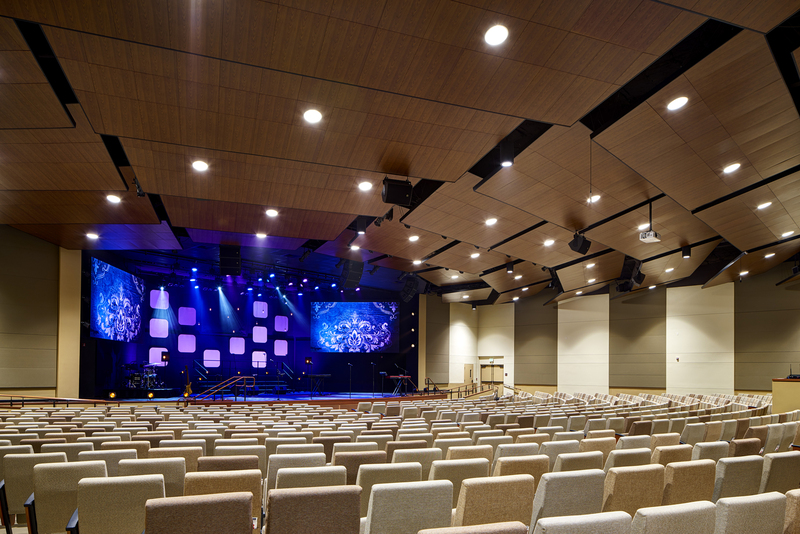 Magnolia Church turned to CCI Solutions, expressing their top priorities to create a more current, engaging worship space, and overcome their communication challenges. An L-Acoustics Wifo speaker system was designed and deployed in the space, delivering unmatched coverage of plus or minus 2 dB to the room, and doing so with a balance of warmth and articulation the church had dreamed of. Additional upgrades in the audio system included adding a digital snake for their existing console and adding a new Allen and Heath personal monitoring system, along with Shure wireless IEM systems. The other major element for improving communication and engagement of the audience was the addition of two Absen 6.25 mm LED walls. 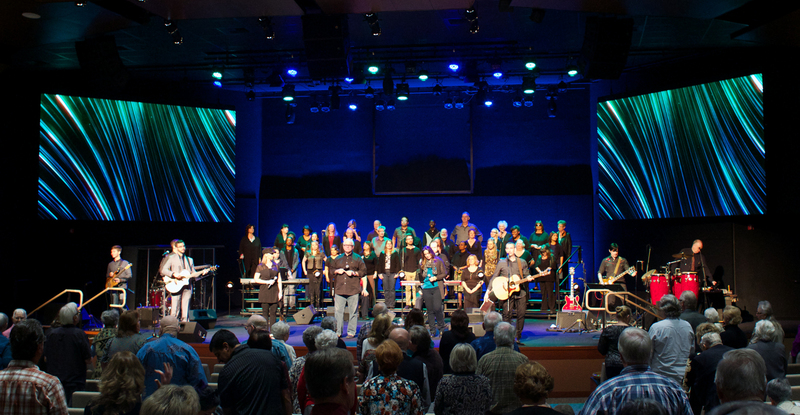 “Our LED walls started as one of the most questioned choices we made, but ever since we’ve turned them on our congregation continually thanked me for the bright, clear screens that they could easily read from or see Pastor Montia on,” says Van Metschke, Magnolia’s former Technical Director. Also in video, new Panasonic cameras switched by a FOR-A switcher handled the new and improved IMAG and streaming feeds. Lighting saw upgrades to the entire system from the ETC dimmer rack and infrastructure to new LED lighting fixtures and a new Road Hog 4 lighting console. All of these technology upgrades worked seamlessly with the many cosmetic and architectural upgrades succeeding in creating a dynamic, engaging worship space that all ages can feel great about.